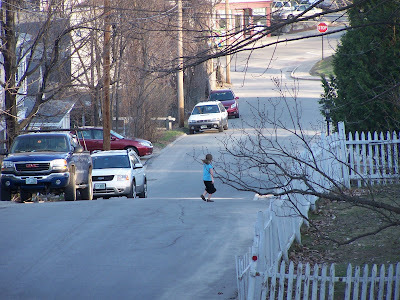 I remember very clearly the day that I was allowed to walk to the store all by myself. It was a big day. I was 6 years old and for whatever reason my mom told me I could go to the store and buy myself a soda. I remember that walk..with my mom and both of my brothers standing on the stone wall watching me the entire way. It wasn't a very long walk to get to the store, but I did have to cross one major street. I was headed to "Gary's" a little convenience store down the road from my house. (For those of you familiar with Whitefield...this store was right across the street from Nellie's house. And for those of you not familiar with Whitefield you now probably get the idea of what kind of town it is by the fact that I can say "Nellies house" and expect that people will know what I'm talking about.) 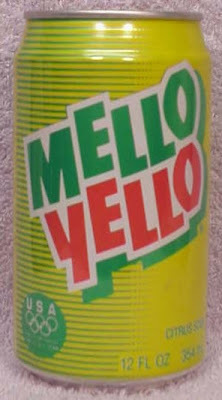 I remember bringing my 50 cents with me and purchasing a much desired "Mello Yellow". I remember loving those as a kid...I'm pretty sure they don't make them anymore though. Anyway..she was very excited about this little trip. She had a nice little walk all by herself and turns out right now I could actually see her until she walked through the door of the church. I wonder if she will remember he first solo walk as much as I remember mine?? Ahhh yes...Mello Yello! That was the "cool" soda back in the day :) How cool for Jessalyn. I'm SURE she'll remember that solo walk down the road. PLus, imagine how "proud" she felt that you thought she was now old enough to do that! I hope you are having a great vacation week and enjoying this nice weather!! Oh man! It's all over she's growing up!!!! That is too cool that you still remember that moment though! I hope she does remember hers!! !